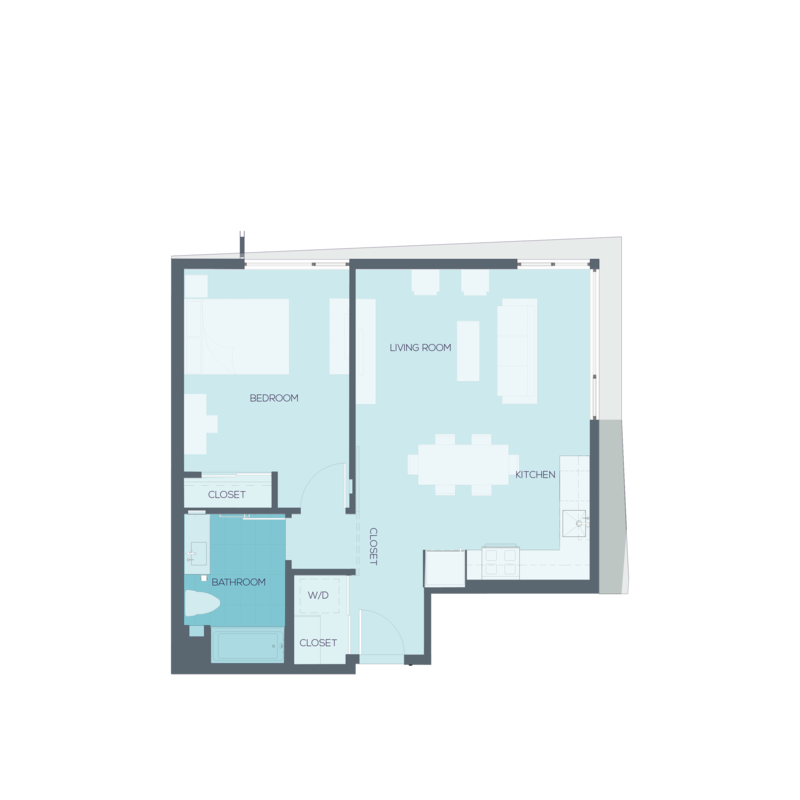  Our one bedroom apartment homes are available in four different thoughtfully designed open floor plans, featuring ample storage and natural light. 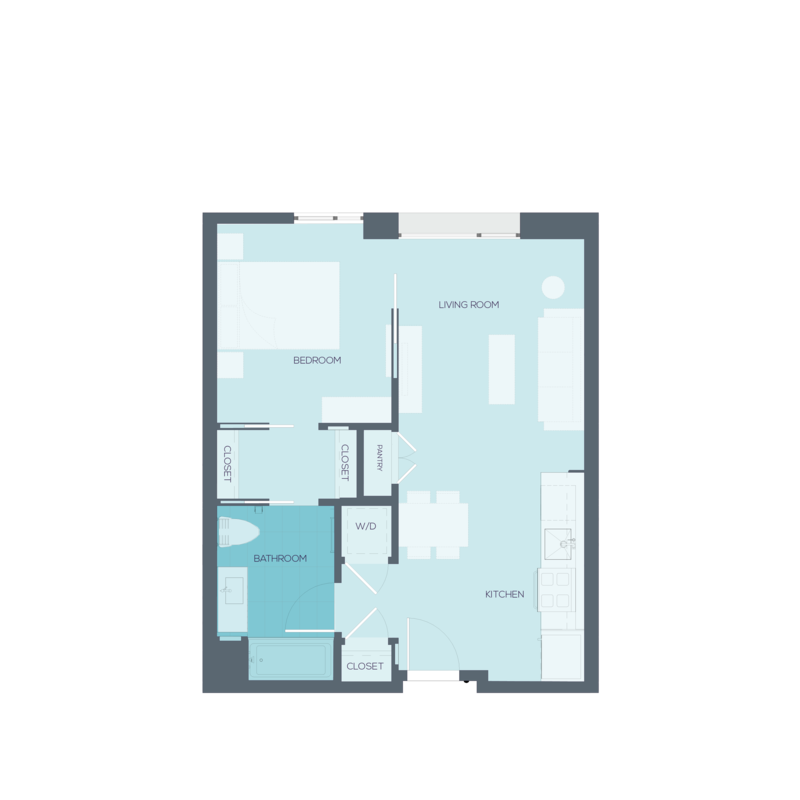 Each is appointed with modern, high end materials and fixtures including full size efficiency washers and dryers, stainless steel appliances, and Caeserstone countertops.  Select units offer polished concrete floors, balconies, or large patios.